Imagine You Are Sandra Bland. Do We Have That Moral Courage? Here’s what I challenge you to do. Watch the nine minute and twenty nine second video documenting the arrest of Sandra Bland in Prairie View, Texas on July 10th, a close up unfiltered view of what begins as a routine traffic stop, but then quickly escalates into an angry confrontation, and then handcuffs, and then arrest. Three days later Bland was dead, and according to the preliminary autopsy report, she committed suicide in her jail cell. The video is easy to find. It’s all over the Internet. Google “Sandra Bland video” and there it is. Then just watch it. Watch as what might have been, should have been, a simple encounter, a “by the book” stop, frighteningly and swiftly devolves into a holy and hellacious and now all too familiar and tragic mess. Be warned: the language is at times graphic and the action shocking. One white “book”. One black “book”. One from a position of power, the other from a position of frustration and anger and, right beneath those emotions, I imagine, fear. A young woman returning in joy to her college town to begin a new job and a new life. A young man brand new to his profession (a little more than a year on the job), somehow allowing a situation get completely out of his control. It’s a very painful video to watch but is just the next chapter in a story unfolding in this our all too hot and long year of race relations, anger and despair, in the United States. Prairie View. Ferguson. Charleston. Cleveland. New York City. How we view all of these events, how we frame them, understand them…well it finally depends on where we stand in the world. In our society. Our nation. Our neighborhood. The “book” of our life experience which provides a narrative as to how we imagine our lives as citizens. So my “book” is one of privilege and power and I need to name that, remember that, own that, confess to that. All men and women may be created equal by our God, but equal treatment: that’s a whole other story. For me a traffic stop is just that, a traffic stop, nothing more. It might increase my heart rate a bit. Might annoy me. But in the handful of times I’ve been pulled over in my car, not once, never, ever, did I have an idea in my head, a concern, a fear, that this event would result in anything more than a warning or a ticket and then a nervous drive away. So do this. Watch the video and then put yourself in Bland’s place, in Bland’s front seat. Try to imagine all the history and all the family stories and all the experiences you’ve had as a woman and a person of color in your one life, in this country in 2015, then think about what might be going through your heart on that hot July afternoon. How might you feel? The fact you are a stranger, thousands of miles away from your home and friends and family, and alone. What scenarios might be playing out in your mind in the moments before you produce your license and registration? If only…if only we humans could do that more, have this quality of moral imagination when it comes to our shared lives in this diverse nation and world. If only whites could imagine what life is too often like for folks of color in the United States. If only Christians could imagine what life is like for Muslims and people of other minority faiths in America. If only the rich could somehow imagine what it is like to be poor in our land. And yes, if only civilians could better imagine how hard and risky it is at times to be a police officer. For if we are to have the courage of this moral imagination, it must extend to all, to everyone, everyone in our world. So if you dare, watch the video. Let go of the need to blame or judge or conclude. 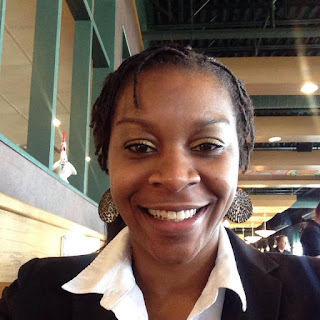 Then just for a moment, imagine that you are Sandra Bland. A Great American Hero Gets Re-Written: Say It Ain't So Atticus! I can't imagine my life without books and reading. Can you? From the first childhood book I loved oh so dearly ("Curious George Goes to the Hospital" by Margret and H.A. Rey), to the latest Stephen King novel I finished last night, "Finders Keepers", which kept me up past midnight for a week, books have always been a good friend. Ever dependable. One always nearby. So many books: sitting on a night stand table waiting to be picked up again. Books: scattered all over my house, in overflowing book cases and in piles stacked high on the floor. Too many books some might say, but not me. Books of any kind, many kinds. Science fiction: I still remember at 16, reading my first Ray Bradbury short story while sitting at a lunch counter on break from my first job as a department store clerk. When I opened that book its tales of outer space and science gone wild enchanted me. Biography: I've learned what life was like for Walt Disney and Eleanor Roosevelt and John Wayne and Amelia Earhart. Novels: as a college sophomore I read "The World According to Garp" by John Irving, when I should have been studying. That book pulled me into its narrative grip like none before. I had to turn the page to find out what would next happen to T.S. Garp, whose best friend is a transsexual ex-football player; Garp, who was conceived by his mother in a late night dalliance with a comatose soldier in a hospital bed. I've since reread it and will probably do so again. Because that's how it is with great books and the great characters within them. Though "just" words on a page or images flickering on an e-reader, the stories and characters become real somehow to we who are blessed to get to know them. Great books can teach us life lessons. Expand and deepen our view of the world and ourselves. Help us escape when we need a break. Inspire us to live better lives because of the lives we read about on that page. So it was with trepidation I read last November that a new novel by "To Kill a Mockingbird" author Harper Lee would be published this year. "Go Set a Watchman" came out July 14th. Its initial printing of 2 million copies set a record for publisher HarperCollins and it is the fastest selling title in the history of Barnes and Noble. The fact that Lee published just one novel before now, makes this book a seeming must read, especially for millions of devoted fans like me who absolutely love "...Mockingbird" and its tale of moral courage in racist 1930's Alabama. "To Kill a Mockingbird" is that rare book which has achieved near universal critical acclaim and commercial success with its simple message of justice and moral fortitude and its tender depiction of small town life through the eyes of a ten year old girl. A Pulitzer Prize winner later made into a classic film, the book is read by practically every American adolescent in English class. It still sells thousands of copies and has been in print for fifty five years. So even though I am that most devoted of Lee's fans, I don't know if I will read this new book, which is not so much "new" as a much earlier unformed draft of "To Kill A Mockingbird". Reviews report that "Go Tell A Watchman" takes place when Scout is all grown up and Finch is now a bitter and racist old man, who (God forbid!) even attends a Ku Klux Klan meeting. What just happened? The KKK? Why the need for a re-write? At 89 and largely infirmed, Lee isn't up for interviews to explain her decision. Her agents and publishers will certainly profit from the book, money in the bank, that's for sure. Why transform an American hero into an American scoundrel? Why cut down, edit, erase such a beloved literary character? What's next? Ishmael puts down his harpoon and joins Greenpeace. Huck Finn turns in Jim for the reward money. Jay Gatsby lives out his years as a feeble minded senior in a Long Island assisted living facility. Romeo and Juliet skip the poison and elope to Las Vegas. I guess I'm just not ready to run out and get a copy of "Go Tell A Watchman". Not yet. For me, the best books are sacred somehow, whole, complete, stories which enlarge the human heart, encourage the human struggle, and mirror our beautiful and broken world. 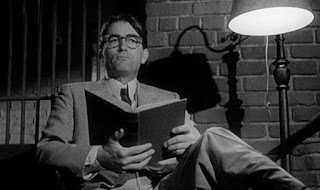 Beloved books like "To Kill A Mockingbird" entertain, yet also, as we the reader enter into an alternate universe: we are changed for the better. That's why I'll keep my unrevised version of Atticus Finch for now. He is much too dear to me to let go of. What book are you reading these days? Enjoy it. Dive right in. Love it even, for you never know. That one book just might change your life forever. Thanks Atticus. Our Sacred Summertime Charge: Get Away, Go Away, Be Away! 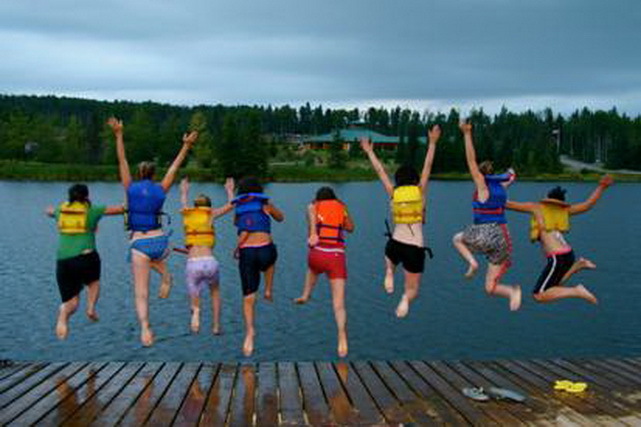 For me it’s not really summertime until I go away to camp. Camp is kind of retro, old school. Cell phone service is spotty at best. Fine dining is hot dogs by the lake followed by a glass of infamous “bug” juice. Our first night together is always marked by at least one camper who is very homesick and needs reassurance. The weather is completely unpredictable and riding out a thunderstorm in a stand of swaying trees is not for the faint of heart. And the pay? Let’s just say it’s priceless. Yet still camp calls out to me like an old friend. Camp is a sacred place and space I return to year after year, that I trust, I get to know again, all over again, every summer. I’m not alone in being a lifelong committed camper. This summer more than 10 million children and adults will go away to 12,000 day and overnight camps across the United States and why? To meet that most basic of human needs…. To just get away. To just be away. To strip away the distractions of daily life and be in an intentional community. To pack up a bag and maybe some books and some sunscreen and stamps for letters home, and leave behind the everyday. Let go of the typical, the comfortable, the routine and predictable and plunge into the singular experience of being “away”. Of not being here but instead being there. To sleep out in a wooden cabin with creaky doors and one pesky buzzing mosquito that somehow always find the tiny hole in the screen. To spend seven days and nights with a rambunctious group of middle school kids in a prayerful hope that somehow in a week we’ll build and find community. To wake up at 6 am before everyone else arises so I can find a morning slice of sanity and then to stay up past 11 until the last waves of giggles from the cabins finally cease. To be fully screen free for the only time all year: no cell phones or Facebook, TVs or texts, video games or Netflix. To feel the wetness of dew on my back as I stare up into a jet black night sky and watch for falling stars. To sit around a crackling and flickering orange and yellow campfire and eat sticky s’mores and sing silly songs until my voice is hoarse. We all should cherish our “away” place. An island tucked amidst rocks and surf off a windswept coastline. A snug cabin nestled on a hillside with a waterfall’s symphony playing in the distance. A tent in a meadow, the peepers lulling you to sleep. A sailboat skimming over blue seas, as an orange and red sun sets in the distance. Maybe for you “away” is the open road, wind whistling through the windows, the car pointed to parts unknown and miles of possibilities which lay ahead. To just be “away”, no matter where, allows us to retreat, encounter the gift of God’s amazing Creation and reconnect to the earth. We remember our souls and that these too need tending. We jettison distracting technology which so rules modern life. We return, and in returning by going away, we rest. We are renewed for summer’s end which, by the way, will be here before we know it. I hate to say that but I have to say that. So in the weeks ahead, here’s a spiritual prescription: just go away. GO AWAY! To camp, to the coast, to a cabin, to a cove, to anywhere but where you are most of the time. Change your scenery. Change your outlook. Change your life if only for a week or so. I’ll soon be on my way “away” to camp. See you when I get back! Right Now Is The Best Time to Make the World a Better Place! Do you know what time it is? 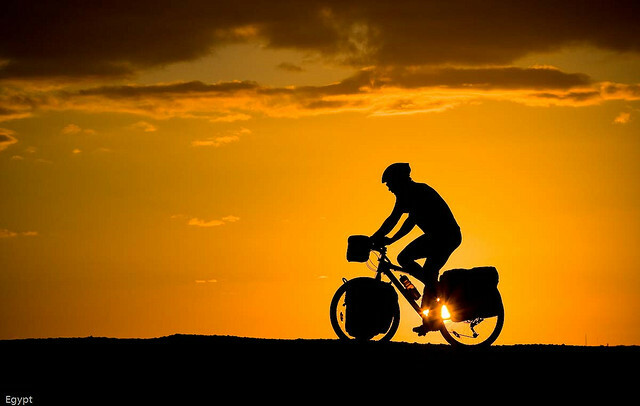 For me it’s time to ride my bike! In the time it took me to ponder and then type those first two sentences—fifteen seconds or so—around the globe, fifty new babies were born, lives which just milliseconds before did not exist outside of the womb. In that same fifteen seconds, 18 people died, folks who one moment were breathing in a breath of life, alive and then in the next: they were no more. They are gone, never to come back to this side of existence. That moment, that chunk of time, that passage of seconds, that reality when birth and life danced with each other: it will never, ever happen again in the exact same way. That slice of time is gone forever, vanished. We mortals stand on a riverbank of time, watch in awe as a great torrent of life and death and existence flows on by, with nothing to staunch its power and momentum. Time approaches. Time arrives. Time departs. As the poet Geoffrey Chaucer wrote, “Time and tide waits for no man.” That’s a big reason why once again I’ve decided to ride my bike to fight against cancer, in the Pan Mass Challenge (PMC), the largest athletic fundraiser in the world. The PMC hopes to raise $45 million for cancer care and research on the first weekend of August. Cancer: it’s already taken time away from many of my loved ones, taken them from this world. Cancer: it threatens to steal time away from folks I hold dear right now. We’ve all only got so much time and cancer teaches us surely, that sometimes this time, our time, all time: it cannot be controlled nor easily predicted in its duration. Scary? Yes. Sobering? Absolutely. Motivating? I hope so. For one of the most important of our daily spiritual challenges is to somehow finally and fully wake up to time. See that time is a gift from the universe, our Creator. Time is precious and often short. Since the time we are given is limited, is literally here today and gone tomorrow, is unpredictable, even capricious: how well, or not so well, do we use it? Cancer confronts us with this question, reminds us that time is a miracle. Time. So I’m 54 years old. As an American male, according to the actuarial tables, I’ve already used up about 19,710 days of the 28,470 days (78 years on average) I can expect to spend on this earth. Wow. I’ve burned through almost 70 percent of my allotment! Do the math. Time is time. It cannot ever be changed or stopped or manipulated or fooled. Back to the bike. I only have so much time and so how will I use some of it? Hello PMC! More than 5,000 riders and 3,000 volunteers helping the work of Boston’s world class cancer treatment and research facility, the Dana Farber. Bikers spinning with 160,000 pedal strokes of human power, getting us all the way from the hills of Sturbridge to the dunes of Provincetown. For me, the PMC is about time. Wishful, poignant time. I so wish I could have had more time with folks whom I loved who died from cancer: Nora, Dottie, Kathy, Fred and Sue, to name a few of the angels who will be with me on the PMC. Immediate, life extending, life saving time. I so want more time with friends and family who are struggling against their cancer now: Bill, T-Michael, Jena and Donna. Time. What are you going to do with the time that you have left on the earth? The clock is ticking. No turning it back. Here’s a suggestion. Use some of the time given to you by God in service to some noble cause like the PMC, a hopeful and loving activity to make this world a better place. Ride a bike. Feed a hungry person. Shelter a stranger. Defend the weak. Assist the sick. Stand up for justice. Visit the lonely. Serve your country. Do something! For time and tide waits for no man, woman or child and none of us will pass or ride this way again.